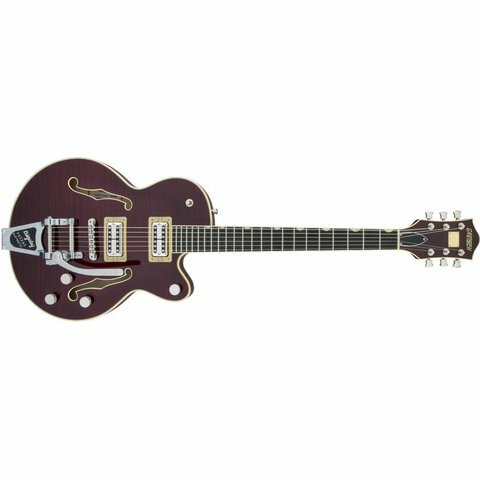 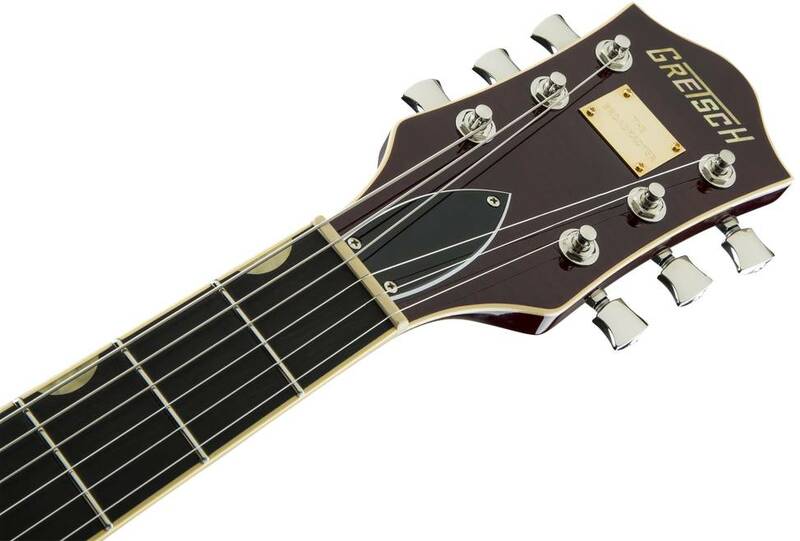 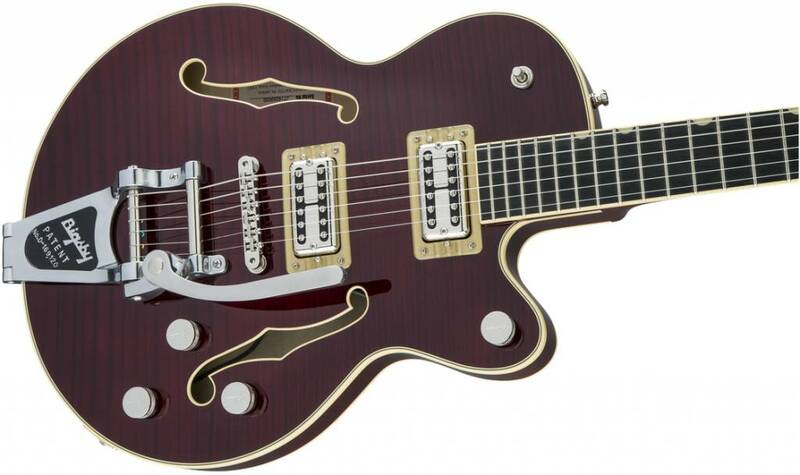 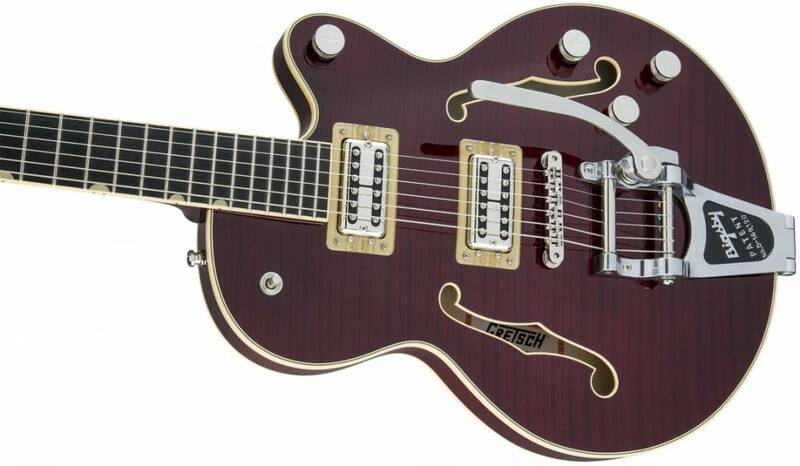 Gretsch’s time-honored “Broadkaster” name now adorns the flagship guitars of its center block lineup, crafted for full-spectrum sound at high volume with powerful new pickups and a chambered spruce center block that enhances body resonance for more organic tone and comfortably lighter weight. 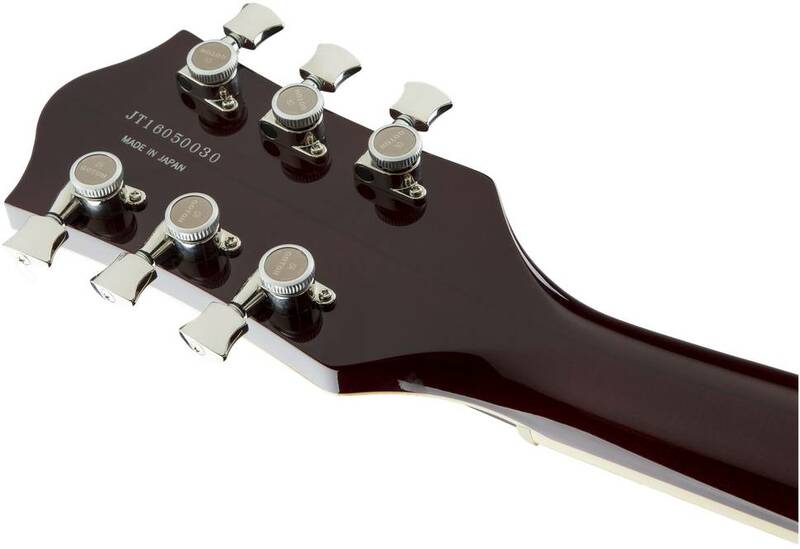 For big sound in a small package, the G6659TFM Players Edition Broadkaster® Jr. Center Block Single-Cut with String-Thru Bigsby® and Flame Maple features a slightly smaller single-cutaway body for greater comfort, tonal focus and feedback resistance, all in stunning tiger flame maple with a matching headstock. 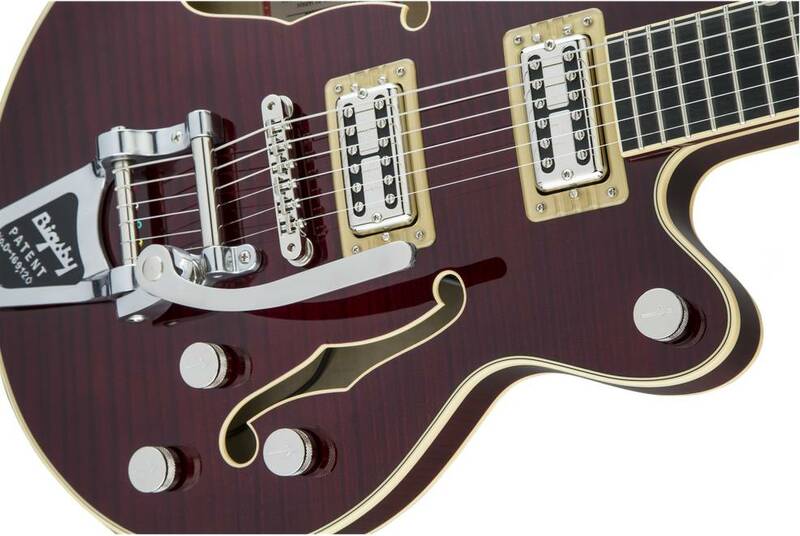 Two new U.S.-made Full’Tron™ pickups deliver full-spectrum sonic range with a growl unlike any other pickup, in addition to classic Gretsch chime, balance and brilliance with a dash of extra-mid concentration for powering through overdriven and distorted passages at full volume.